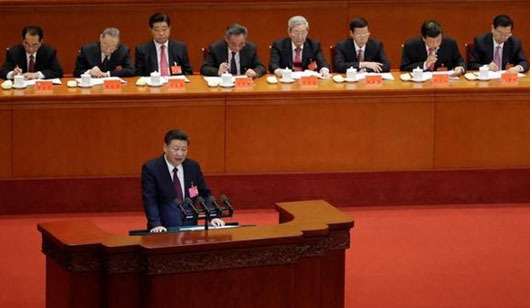 Chinese President Xi Jinping opened the 19th Communist Party Conference on Oct. 18 by pledging to build a “modern socialist country” that will be a “mighty force” in the world. “Through a long period of hard work, socialism with Chinese characteristics has entered a new era, this is a new historical direction in our country’s development,” Xi said. Guo, a billionaire real estate mogul from China, has used YouTube to unveil allegations of top-level corruption and intelligence operations that have devastated CCP officials. “The Chinese kleptocrats are panicked about my exposure of their systematic and rampant corruption before the 19th Party Congress because they fear when the truth about how they steal from the people to enrich themselves in the name of the state, the Chinese people would demand a revolution to bring them down,” Guo said. Xi, who will begin his 2nd term as president at the conclusion of the conference, used the term “new era” 36 times in a speech that ran for nearly three-and-a-half hours. In a congratulatory message, North Korea’s communist regime saluted the Chinese Communist Party’s “great progress in accomplishing the cause of building socialism with Chinese characteristics.” As Pyongyang’s sole major ally, China accounts for more than 90 per cent of world trade with the isolated country. Observers are keeping a close watch on any moves Xi may make to stay on in a leadership capacity after his second term ends in 2022, including resurrecting the position of party chairman, a title that would put him on par with the founding father of modern China, Mao Zedong.